Remember that scene from Legally Blonde, where a very upset Elle Woods walked into the nearest salon for quick mani? Many Indian women still need to learn and appreciate the calming and de-stressing qualities of an hour-long manicure. Besides its therapeutic properties, regular manicures should be a part of every woman’s grooming routine. And if you can’t always afford to make it to the salon, we’ll teach you how to do a manicure at home naturally. Women think of manicures as a fashion tick mark rather a than a part of everyday hygiene. 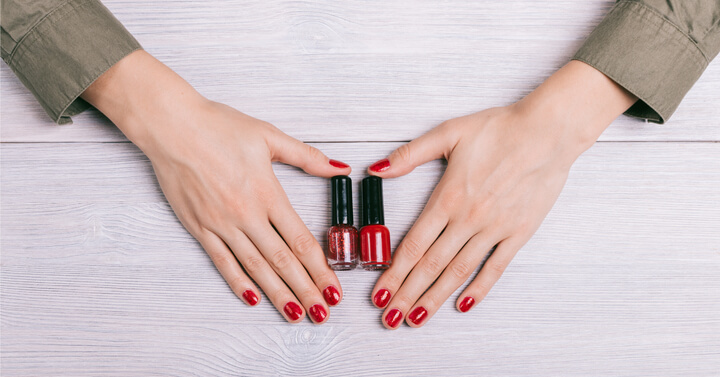 Here are 6 benefits of a manicure. We use our hands (and feet) for everything, making them the most exposed parts our body, to dust and dirt. While washing may cleanse your hands, it doesn’t remove the dirt hidden in your nails; dirt which collects over time and can lead to infection. Regular manicures help keep dirt, germs and debris at bay. Cuticles are the dead skin that collect at the base of your nails. They act as germ-barrier between the nail plate(the visible part of your nail) and the thick layers of skin surrounding your nail, the eponychium. 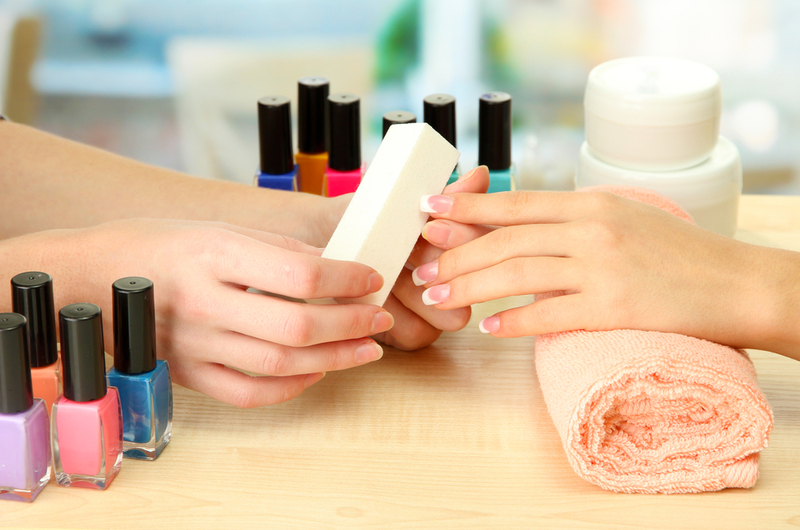 If regularly do a manicure at home, it will keep the cuticles soft, nourished, and keep them in good shape. Want to know some cool MANICURE TIPS AND TRICKS for beautiful nails? Read our post to learn more. Like we said earlier, our hands our the most used, therefore most worked parts of our bodies. And in comparison to our legs, far more ignored. The 20 minute massage, that is an essential step of any manicure, stimulates the blood flow in your hands and improves the mobility in the joints of the fingers and wrists. You could always get an indulgent hand massage and manicure by a top-rated beautician at home. Simply book UrbanClap’s Salon at Home service. What follows a great massage? An indulgent dose of relaxation of course! Besides working on your physical muscles, a great massage touches all the key pressure points on your palm and fingertips, relaxing your entire body. The creamy massage coupled with the scrubbing and exfoliating, leave your hands feeling baby soft and clean for as long 2 weeks, when it is time for your next manicure session! We don’t always have the time (or the budget) to visit a salon for a monthly mani-pedi. The alternative is to do this simple cut-file-polish manicure at home to keep your tips looking tops all week. You can even add an exfoliation step using a simple homemade manicure scrub. Read on to know how to do manicure step by step with natural ingredients, using things that are probably already in your home! To start, wash your hands with a medicated soap and then, remove old nail paint with a good quality nail paint remover and a soft cotton ball. Next, cut your nails fingernails straight across to reduce the length; clip the corners into your preferred nail shape. You could either go traditional with a rounded or square shape, or experiment with trending nail shapes like an almond, lipstick or ballerina. Pro Tip: Use small cuts instead trying to cut off the free-edge, or the white part of your nail in a single big cut. File away the rough edges off by swiping the filer on the edges of the nail in the same direction to get a smooth finish. Swiping the filer back and forth in different directions can tear the nails. Watch this video to learn to how shape your nails. Fill the tub with hot (not boiling!) water. Add 2 tablespoons of honey and the juice of one lemon. Lemon works as a great de-tanning and whitening agent while honey is a fantastic moisturiser. Soak your hands in this solution for 5 minutes or more to soften them. 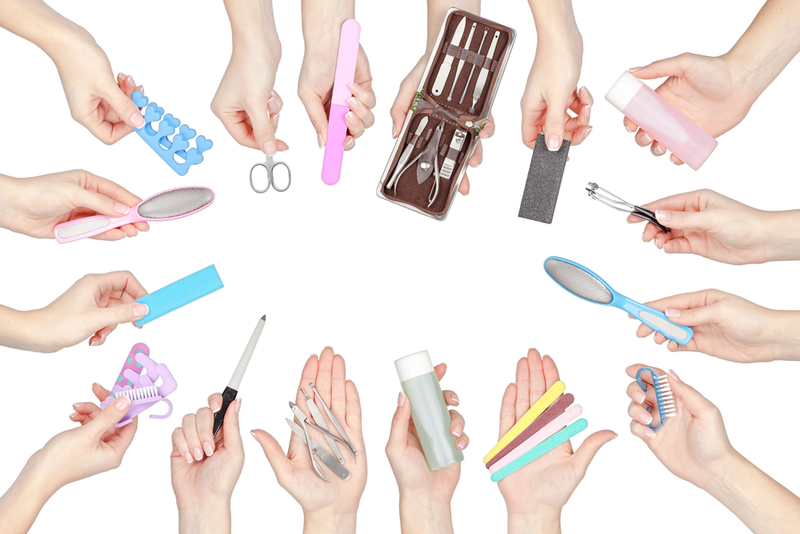 After your hands are nice and soft, use the back of your nail filer’s handle to push back the cuticles. Dab a little olive oil on the cuticles to keep them soft. Want to know about some good DIY foot soaks? CLICK HERE for more! Although there are many homemade manicure scrubs out there, this simple lemon, sugar and olive oil scrub is suitable for all skin types. Mix two teaspoons of sugar, half a teaspoon of olive oil, and a teaspoonful of lemon juice in a small bowl. The heat from your palms will melt the sugar crystals, which in turn will gently exfoliate away dead skin cells. The olive oil helps to seal in the moisture into your hands. Be sure to scrub for 2 minutes before rinsing your hands in lukewarm water. Pat them dry on a soft towel. Pro Tip: Scrub in circular motions for best results. This would improve the blood circulation in your hands and bring a glow to your skin. The final step to pamper your beautiful hands is to apply some nail paint. 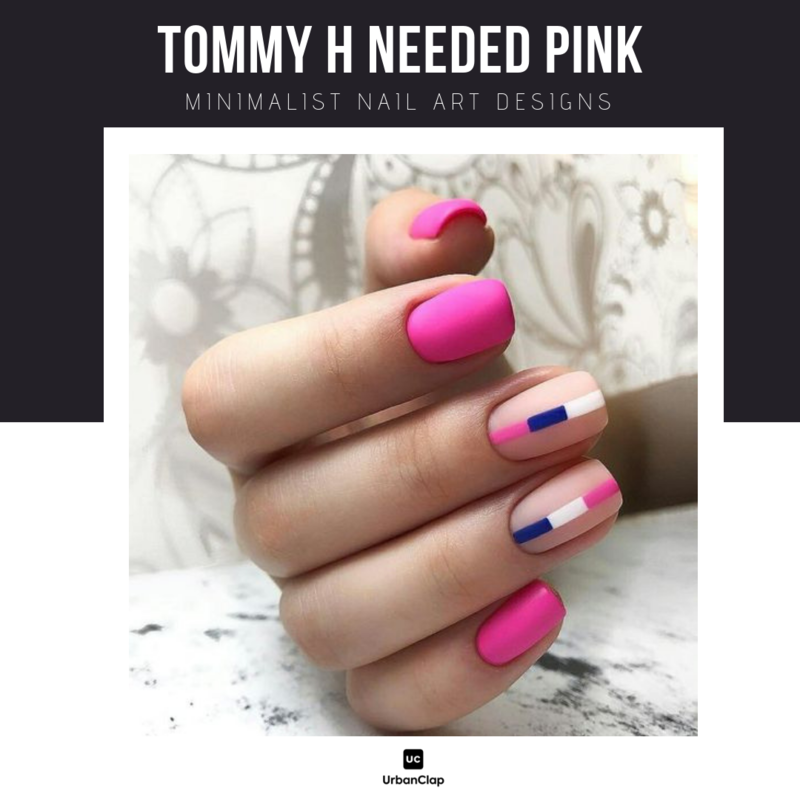 You could try a trendy minimalist nail art style. They’re simple to do, and look elegant. Read our fill post on ’18 Minimalist Nail Art Designs for the Lazy Girl’! If you still prefer the luxury of a salon but don’t want to leave the comfort of your home, book an indulgent classic manicure on UrbanClap today! There are few things you should keep in mind when doing a manicure, like moisturising your hands after using a nail polish remover, since the latter dehydrates your skin. Also, never keep nail paint on for more than two weeks since that would lead to nail discolouration. In fact, leave your nails ‘free’ of nail polish for a week before applying again. If you’d rather get pampered than DIY, you can always book a manicure with UrbanClap’s Salon at Home service. UrbanClap Editorial, thanks! And thanks for sharing your great posts every week!